An Ohio gamer upset over a $1.50 Call of Duty bet pleaded guilty Wednesday to asking a prankster to make the bogus emergency call that led to an innocent Kansas man being shot dead by police. 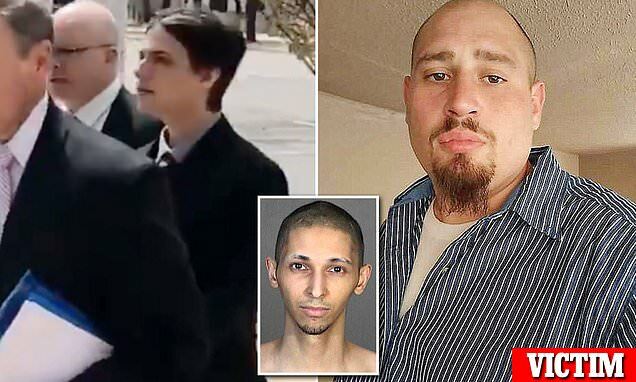 Casey Viner, 19, of North College Hill, Ohio, then tried to destroy his text communications so as to hide his involvement when he realized from news reports that the antic had gotten Andrew Finch killed. The teen changed his plea to guilty on charges of conspiracy and obstruction of justice Wednesday. He initially pleaded not guilty. The plea deal jointly recommends two years of probation, although the judge is not bound by that sentencing recommendation. The deal also recommends Viner be barred from online gaming for two years. The 2017 death of Andrew Finch, 28, in Wichita drew national attention to the practice of 'swatting,' a form of retaliation in which someone reports a false emergency to get authorities, particularly a SWAT team, to descend on an address. Authorities said Viner recruited Tyler R. Barriss to 'swat' an opponent in Wichita over a $1.50 bet stemming from the game Call of Duty: WWII. But the address they used was old. Barriss, a 26-year-old Los Angeles man with an online reputation for 'swatting,' called police from Los Angeles on Dec. 28, 2017, to falsely report a shooting and kidnapping at that Wichita address. Finch, who was not involved in the video game or dispute, was shot by police when he opened the door.